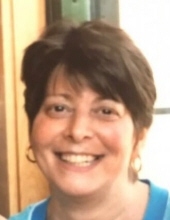 Winsted - Mary T. DeAngelis passed away peacefully at Yale New Haven hospital on Saturday, December 29th 2018 with her family by her side. Mary had the support and love from her partner, Mike Stein of 29 years. Mary was born May 1, 1956 in Pittsfield, MA; the daughter of the late Margaret Carroll and Leo DeAngelis. She was a graduate of Northwestern Regional #7. Mary was retired from Stop and Shop after 30 plus years of service. She was an avid sports fan. Loved her New York Yankees and Minnesota Vikings. Mary was a great friend to all who knew and loved her. The tension in her Winsted home that she shared with Mike was like no other when the Red Sox played the Yankees! We are all so proud of how hard Mary fought over these past years with her health issues, but she did all the right things. Mary is predeceased by her brother Michael. Mary shared a special bond with Michael and his lovely wife Roxanne. In addition to the love of her life Mike, she leaves behind her sisters, Judy, Marcia, Linda, Maryann, Diane, Maggie and Kathy. Her brothers, Glen, Duke, Robbie, Ronnie, Tommy and Stephen and several nieces and nephews, especially Samantha and Taylor for whom which she shared a special bond. Mary had many, many friends for so many years who we know will miss her. Let the past conversations and experiences we all shared with Mary bring us comfort in the days to come. We ask family and friends to join us for a mass of Christian Burial on Saturday, January 5, 2019, at Our Lady of Hope Church, formerly Immaculate Conception Church, 3 Church Street North, New Hartford at 10:00 am. Memorial donations may be made to benefit Yale New Haven Hospital, PO Box 1849, New Haven, CT 06508, or www.givetoynhh.org or to benefit The New England Donor Services at 60 First Avenue, Waltham MA 02451 or www.neds.org. Visit an online guestbook at Montano-shea.com. To plant a tree in memory of Mary T. DeAngelis, please visit our Tribute Store. "Email Address" would like to share the life celebration of Mary T. DeAngelis. Click on the "link" to go to share a favorite memory or leave a condolence message for the family.